Contains contributions from leading authorities on the subject matter Informs and updates on all the latest developments in the field of imaging and electron physics Provides practitioners interested in microscopy, optics, image processing, mathematical morphology, electromagnetic fields, electron and ion emission with a valuable resource Features extended articles on the physics of electron devices especially semiconductor devices , particle optics at high and low energies, microlithography, image science and digital image processing Peter Hawkes graduated from the University of Cambridge and subsequently obtained his PhD in the Electron Microscopy Section of the Cavendish Laboratory. He has published extensively, both books and scientific journal articles, and is a member of the editorial boards of Ultramicroscopy and the Journal of Microscopy. Works 58 Titles Order by general by volume 2 by volume 3 by volume 4 volume 6 by volume 7 by volume 7 by volume 8 by volume 9 volume 10 by volume 11 by volume 12 by volume 13 volume 16 by volume 17 by volume 18 by volume 19 by volume 21 volume 22A by volume 23 by volume 24 by volume 25 by volume 26 by volume 28A by volume 28B by volume 29 by volume 30 by volume 31 by volume 33A by volume 33B volume 34 by volume 35 by volume 37 by volume 37 by volume 38 by volume 39 by volume 41 by volume 42 by volume 43 by volume 43 by volume 44 by volume 45 by volume 46 by volume 47 by volume 50 by volume 51 by volume 53 by volume 54 by volume 55 by volume 56 by volume 57 by volume 68 by volume 71 by volume 73 by volume 75 by volume 86 by volume 88 by volume 89 Series Information Translate Series Title German. Peter Hawkes organised the 1990 meeting in Toulouse and has been a member of the organising committee of all the meetings. Often for historical reasons, one of the two problems has been studied extensively for some time, while the other has never been studied and is not so well understood. 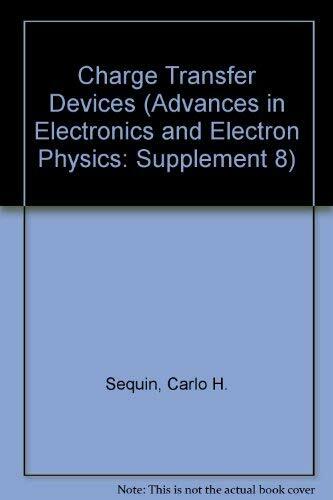 The series features extended articles on the physics of electron devices especially semiconductor devices , particle optics at high and low energies, microlithography, image science, digital image processing, electromagnetic wave propagation, electron microscopy and the computing methods used in all these domains. This was so successful that similar meetings have been held at four-year intervals from 1986 to the present day. In 1982, he was awarded the ScD degree by the University of Cambridge. During the Cambridge years, he was a Research Fellow of Peterhouse and a Senior Research fellow of Churchill College. He added mathematical morphology to the topics regularly covered; Jean Serra and Gerhard Ritter are among those who have contributed.
. He is very interested in the history of optics and microscopy, and recently wrote long historical articles on the correction of electron lens aberrations, the first based on a lecture delivered at a meeting of the Royal Society. 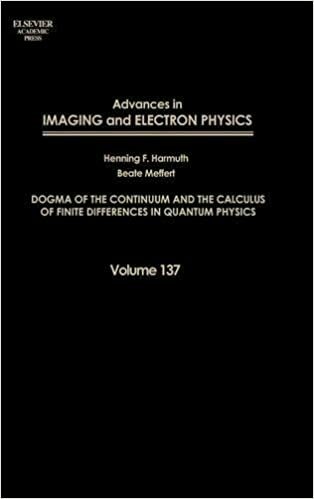 Advances in Imaging and Electron Physics, Volume 202, merges two long-running serials, Advances in Electronics and Electron Physics and Advances in Optical and Electron Microscopy. He likewise sponsored biographical articles for the Advances on such major figures as Ernst Ruska Nobel Prize 1986 , Helmut Ruska, Bodo von Borries, Jan Le Poole and Dennis Gabor Nobel Prize, 1971. He has published extensively, both books and scientific journal articles, and is a member of the editorial boards of Ultramicroscopy and the Journal of Microscopy. He likewise sponsored biographical articles for the Advances on such major figures as Ernst Ruska Nobel Prize 1986 , Helmut Ruska, Bodo von Borries, Jan Le Poole and Dennis Gabor Nobel Prize, 1971. In 1982, he was awarded the ScD degree by the University of Cambridge. Two substantial volumes of the series were devoted to 'The Beginnings of Electron Microscopy' and 'The Growth of Electron Microscopy'. This was so successful that similar meetings have been held at four-year intervals from 1986 to the present day. Peter Hawkes organised the 1990 meeting in Toulouse and has been a member of the organising committee of all the meetings. 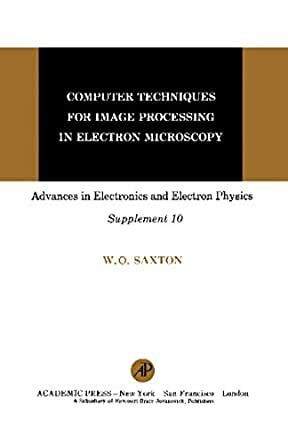 He is very interested in the history of optics and microscopy, and recently wrote long historical articles on the correction of electron lens aberrations, the first based on a lecture delivered at a meeting of the Royal Society. He added mathematical morphology to the topics regularly covered; Jean Serra and Gerhard Ritter are among those who have contributed. During the Cambridge years, he was a Research Fellow of Peterhouse and a Senior Research fellow of Churchill College. Two substantial volumes of the series were devoted to 'The Beginnings of Electron Microscopy' and 'The Growth of Electron Microscopy'. In such cases, the former is called direct problem, while the latter is the inverse problem. . . . . .